Adam Musser, Megan Raimondi & Emily Stefanak planting garlic at The Trapp Family Farm. 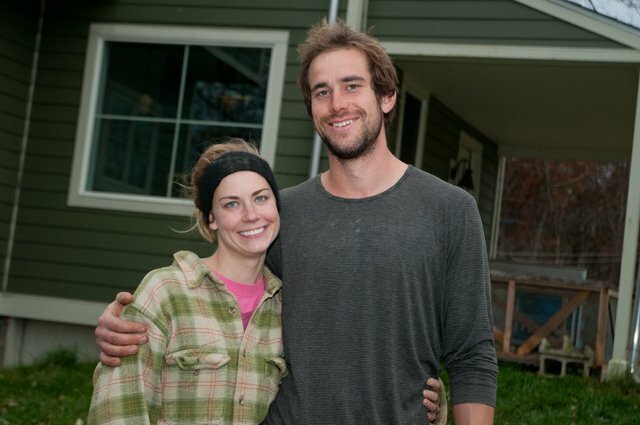 Emily Stefanak & Mark Trapp - The Trapp Family Farm. Mark Trapp isn’t bothered by long hours on his 16-acre farm, although lately he’s been sleeping in until 7 a.m., grabbing an extra hour of rest before starting another 8-to-8 day. The work makes him bone-tired but he loves being outside, picking tomatoes, and carting water to the pigs, chickens and turkeys and rotating the animals among the pastures. Although he hasn’t turned a profit yet, next year is the one, he promises. He worked and saved through his 20s to become a farmer, reading up on crop rotation and organic practices. The weather’s been glorious all summer, beaming down sun, spitting rain on his crops. Right now, the hardest part are the horses, a sleek yet sturdy pair of Perecherons named Doc and Dan that he bought from an Amish Farm in Homerville, Ohio. Mornings and evenings he feeds and waters them, walking them along Route 303 to fresh pastures. They take up every ounce of his focus and energy during those times. They’re so easily spooked that he gave up his cell phone to avoid distractions. But he says all the hours he puts into them are worth it. 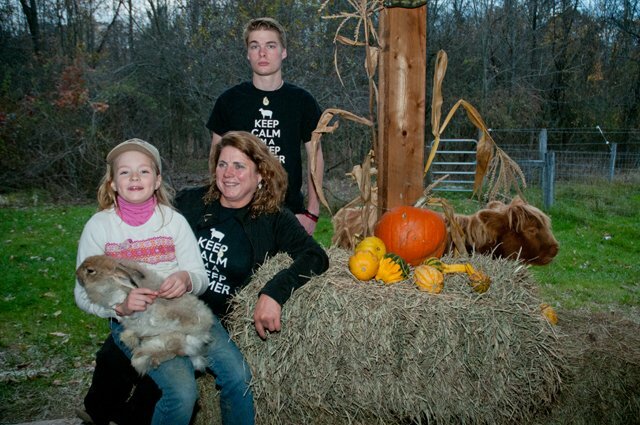 The couple raises pigs, chickens (both the meat and egg-laying variety) and turkeys. They’re also growing half-acre plots of vegetables, including corn, squash and tomatoes, without pesticides, fungicides, herbicides or anything artificial–or “junk,” as Trapp often calls it. Trapp, a tall, bearded man with the touch of the Wendell Berry philosopher about him, studied mechanical engineering at Carnegie Mellon University in Pittsburgh. He grew up amid the rowed cul-de-sacs of suburban North Olmsted, Ohio, and after college worked for General Electric. 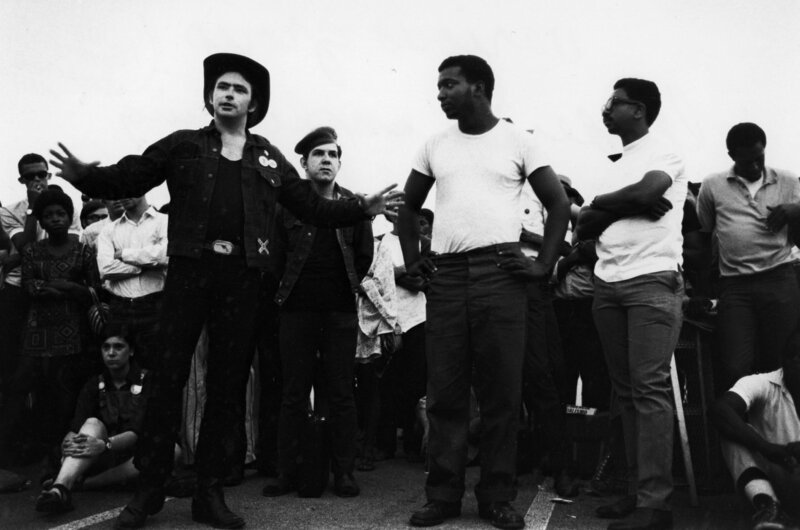 He read books on organic farming at night, and cut his teeth gardening a one-acre plot in Brooklyn, Ohio before starting his farm. 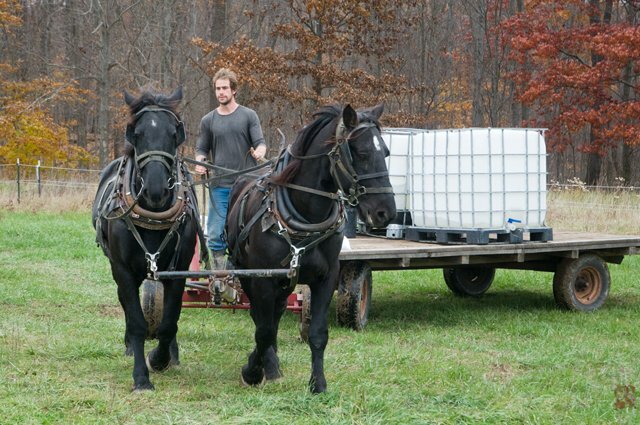 Trapp and Stefanak, who has a full-time gig as a nurse, launched the Trapp Family Farm in May 2012. They were accepted into the Countryside Initiative, a program to bring back farming in the Cuyahoga Valley, and signed a lease with the park service to move into a handsome, restored 1855 farmhouse with dark green siding and a front door with a shovel-shaped door knocker, its first residents in many years. The property is stunningly beautiful, its gently rolling fields unfurling along Route 303, fringed by woods. Despite the traffic hissing by on its way to Peninsula, the picturesque town which lies along the Towpath Trail, you’re not in the city, you’re somewhere else. The couple is planning on staying for a good long while. The initiative leases properties to farmers for 60 years, so if they can make a go of it, they can make it their life’s work. They get business and farming advice from the initiative and also help connecting to local markets. With more than 60 percent of U.S. farmers over age 60, Trapp and Stefanak might seem like an anomaly, but they’re actually part of a fresh crop of young people interested in farming. Enrollment in U.S. college and university agriculture programs has risen 21 percent since 2006, according to data from the Food and Agriculture Education Information System. Despite that uptick, opportunities to farm have gone way down in Ohio. The state is losing farmland at the second-fastest rate in the country, much faster than its population growth (31st). Eight hundred small farms once dotted the rolling hills between Cleveland and Akron. They went the way of many small farms in the 1960’s and 1970’s, pushed out of existence by big, corporate farms and cheaper tomatoes from Mexico. The National Park Service itself bought 85 farms in the Cuyahoga Valley after it created the park in 1973. Some farm buildings and homes were used for classrooms and offices, but much of the land went fallow and structures fell into disrepair, says Lisa Petit, chief of resource management for the Cuyahoga Valley National Park. In the late ‘90s, with interest rising in local food and a growing backlash against corporate farming, parks officials began to see an opportunity to bring back the farms. Partnering with a new nonprofit organization, The Countryside Conservancy, started specifically to bring about small farming in the national park, they launched the Countryside Initiative and began looking for new farmers. After inventorying 85 farms to see how many could be salvaged and identifying 30-35 worth saving, park officials obtained a federal appropriation to begin renovating them. “The best way to preserve them was to have them used, but with farming done in a different way, sustainably, with less impact on other natural resources,” says Petit. It’s been a modest success. 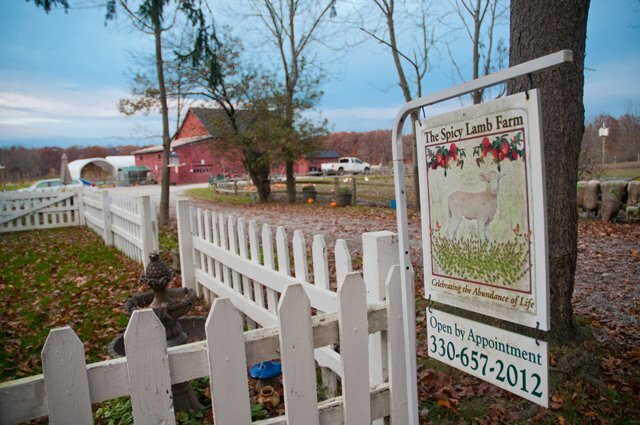 The Trapp Farm in Peninsula is the newest farm, and two more will be ready for lease next year. Only one farm has shut down in 12 years. Together, these farms generate close to a million dollars in gross revenue every year, support dozens of jobs and provide families with locally-grown, naturally-raised food, says Kelsey. 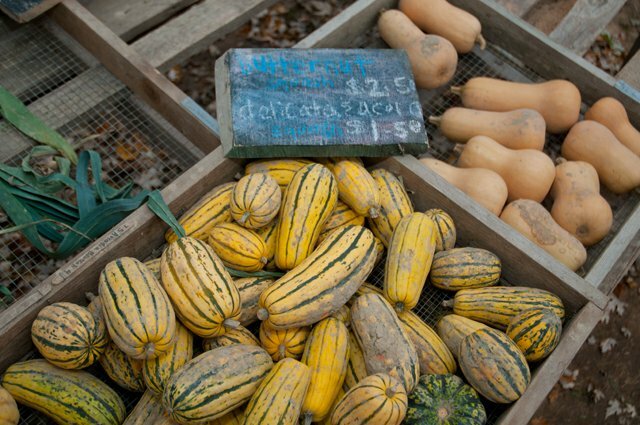 As demand for local food has grown across Northeast Ohio, these farmers have found more opportunities to sell what they’ve raised..
“One of our big advantages is that we’re smack dab in the middle of two big markets, Cleveland and Akron,” adds Tracy Emrick, coordinator of the Countryside Initiative. “Most farms have real handicaps when it comes to distribution routes for products – they’re paying some middle-man. Here they’re getting full retail value for products. 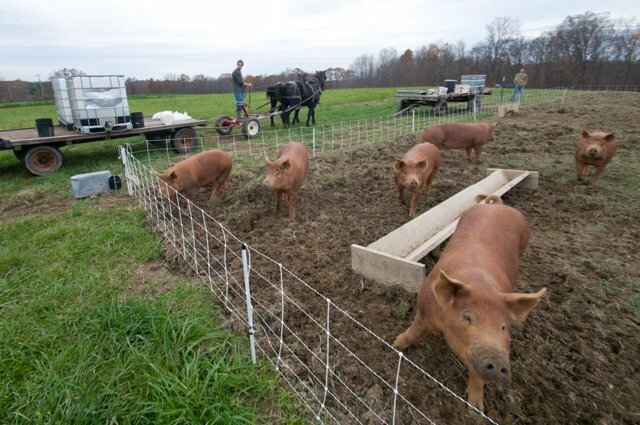 Unlike the Cuyahoga Valley farmers that had had enough and were eager to sell back in the 1970s, Trapp sees opportunity in small farming. His eggs sell out in 20 minutes when he sets up a farm stand on his front lawn. Customers often come knocking on his door; he’s on the main route of a park that attracts 2.5 million visitors a year, after all. Ten more small farms are scattered throughout the 33,000-acre national park, and each seems to have carved out its own niche. 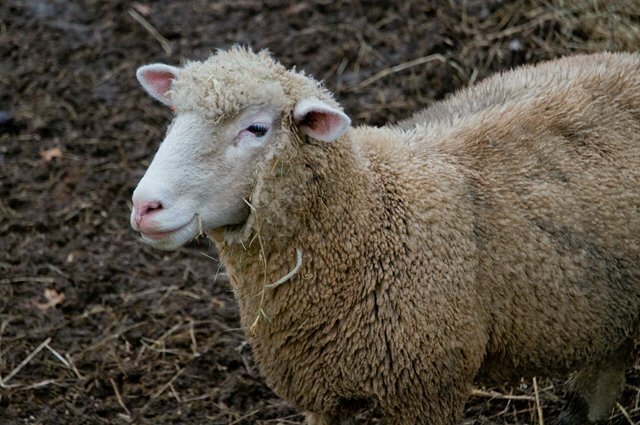 The farmers are raising Dorset sheep (Spicy Lamb Farm) and goats and heritage turkeys (Goatfeathers Point Farm) and growing berries (Greenfield Berry Farm) and heirloom tomatoes (Basket of Life Farm). 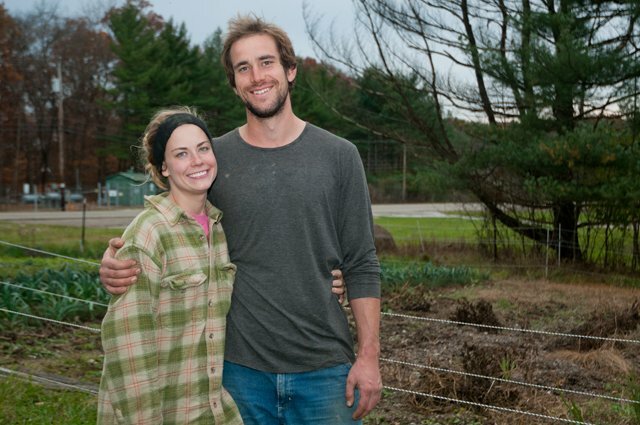 Some bring in extra money by hosting farm-to-table dinners and giving vacationing city dwellers the farm experience; Trapp even sells picturesque greeting cards of his farm at his roadside stand. Many of the farmers are in their 20s and 30s, and almost all are new to the business of farming. They’re also not the only young’uns with the itch to tend the land. Every time the Initiative offers a new farm, it gets about a dozen applicants. Farmers are selected based on past farming experience, their commitment to sustainable farming practices, their financial means to support their operation, and how compatible they are with the park. They pay market-rate rents for the land, plus a “productive rent” based on how much they sell. [blocktext align=”left”]“Oh my gosh, I’ve never been so tired. My friends say, ‘Oh, you’re farming, that’s so cute.’ When I wake up at seven every day, I can’t believe it’s time to get up again. My hands hurt, my entire body hurts.”—Megan Raimondi, farm apprentice[/blocktext]There’s so much interest out there that Trapp and Stefanak don’t have to pay hired hands or even migrant workers (not that they would) to help with the labor. They’ve got two 20-something emigres from Ohio City, Megan Raimondi and Adam Musser, helping them through a yearlong apprenticeship. Raimondi and Musser are not paid for their arduous physical labor. Instead, they stay in the house rent-free and have their fill of fresh farm food in exchange for sweat equity. The big payoff of the work day, she says, comes from home-cooked meals made with food they raised themselves. The success of the farms in the Valley hinges on whether they can find a viable market and thus avoid the fate of so many small farms–becoming irrelevant. While the Countryside Initiative has seen success, not all farms have been equally profitable–and some farmers have had to keep their off-farm jobs in order to pay the bills. [blocktext align=”left”]Laura DeYoung of Spicy Lamb Farm continues to work as an environmental consultant to support her farming habit. “The farm sustains itself, but doesn’t support my family,” she says. “It’s kind of like living in a bed and breakfast year round, but I have to do chores.”[/blocktext]To help increase her clientele, DeYoung has gotten creative with marketing and organized sheep-shearing days and an urban shepherds program which uses sheep to mow city lots (her flock spent the summer off East 55th along the lake). Alan Halko of the ten-year-old Spring Hill Farm, one of the first farms in the Countryside Initiative, says that the only way he’s been able to survive is by living off his pension. He worked for Bainbridge Township for 30 years before retiring early. “I am full-time, but if farming was my only livelihood, I wouldn’t be able to make it,” he says. Still, Petit says some farms have grown more than expected, and about half the farmers are now earning full-time income from farming. 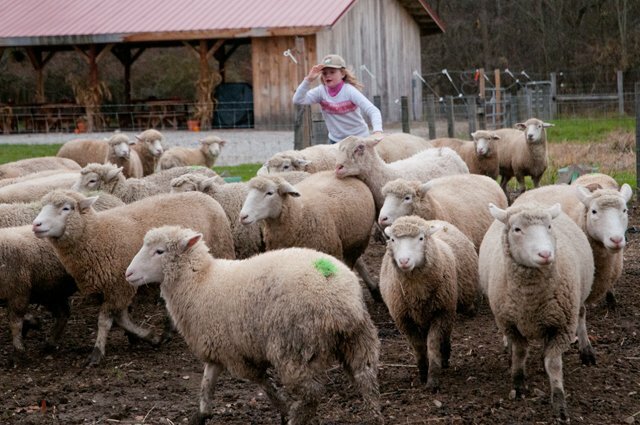 For example, Brunty Farms, which offers pasture-raised eggs, meats and vegetables, has been successful by adding new types of livestock, expanding its CSA program and selling its produce in area farmers markets. Sarah’s Vineyard, which makes wine from its own grapes as well as grapes they ship in, is another success story. With a wood-fired pizzeria, a winery, and a gallery and event-space on the site, it’s definitely not a farm in the purest sense. The family hosts “Rockin’ the Vineyard” concerts in the winery to bring in crowds in the colder months. 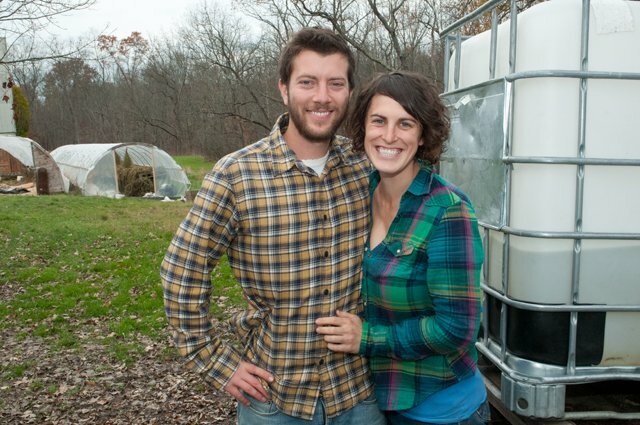 Eric and Heather Walters of Basket of Life Farm used to work off-farm jobs, but they’ve been successful enough that they’re now both full-time farmers. They had 15 members in their CSA when they moved to the Valley; this summer, they had 200, who hear about them mostly through their website, Facebook page, and word of mouth. Kelsey says there are real success stories here that show small farming is still viable. “One farm may be doing $20,000, and another may have half a million in gross sales,” Together, they’re certainly grossing over three quarters of a million dollars. 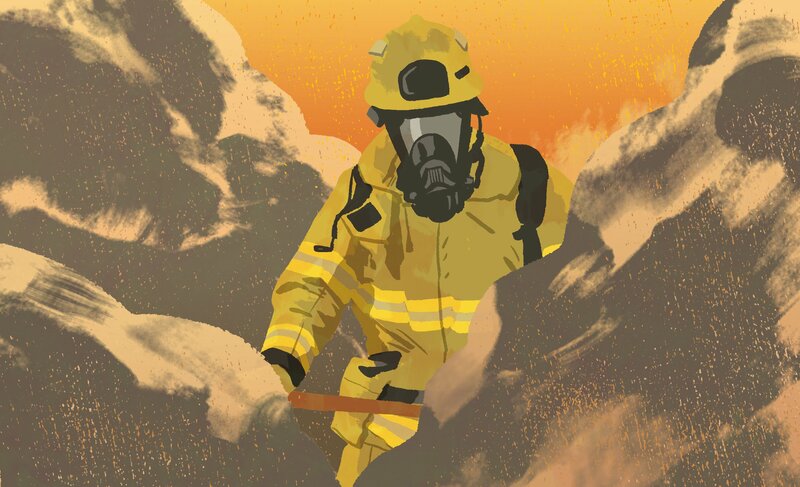 What’s the impact? Every buck spent that way is 2-3 in terms of dollars spent in the community. Since 2001, the Countryside Initiative has hosted visitors from all over the world who are studying its successes and trying to replicate small-scale, sustainable farming in their parks. Recently, Parks Canada announced the creation of a similar program. But admiration only goes so far. Identifying funding to renovate the Cuyahoga Valley farms has proved more difficult as time has gone by. Although park officials initially envisioned they’d be able to resuscitate 30-35 farms, Kelsey and Petit now say that the program will create only 13. National Park Service funding and federal appropriations for renovations have dried up, and the farms that are left are already too far gone. “The body parts from other farms can be used for other things,” says Kelsey, citing a building within the park that could be renovated into a center for farmland education. The two farms that will be offered for lease next year will be the last in this program. Administrators are now tweaking the initiative to allow existing farms to expand onto additional parkland and create better access to water. And Kelsey hopes efforts to revive small farming in the Valley will continue on private land, with private funds. Although the State of Ohio currently manages two agricultural easement programs that help keep agricultural land from being developed by providing tax incentives to farmers, demand for these programs far exceeds available funding. Ashley McDonald, a spokesperson for the Ohio Department of Agriculture, says only about one in 15 applicants are accepted. Other states have more successful programs – Pennsylvania, for example, has saved over 10 times what Ohio has, according to the American Farmland Preservation Trust. Trapp’s long-term success will depend in part on his ability to learn from the success of his fellow farmers. 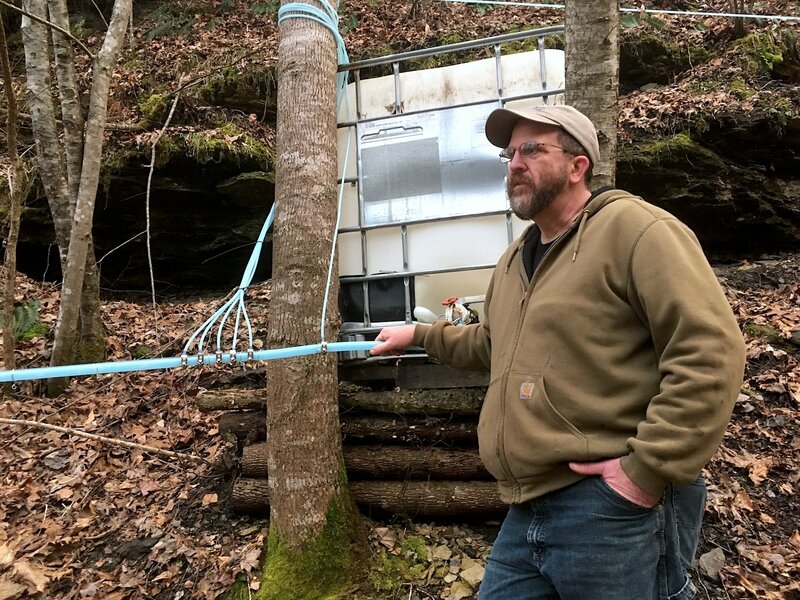 He diversified his farm early, planting a wide range of crops to hedge against deer and other pests, yet he’s struggled to find ways to put nutrients back in the soil. It will also depend on endurance, muscle, and capacity for creative problem-solving, which so far he seems to have in spades. 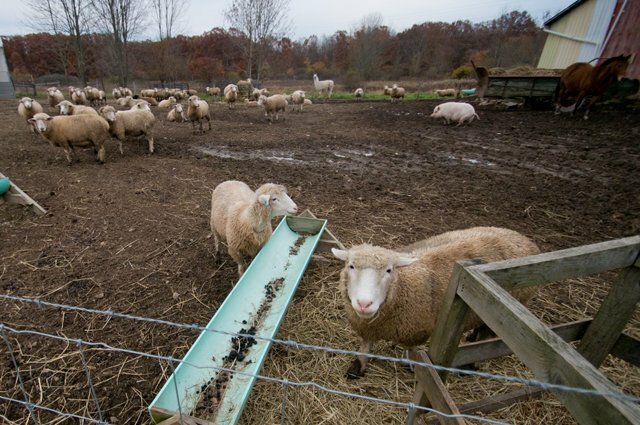 Trapp rotates his animals in small pens around his farm, to both replenish the nutrient-depleted soil with their droppings and make sure they have a fresh place to feed. Most of the time, he’s able to get them to move from one pen to the next using food as a lure or by throwing water pail lids at them. Still, a few weeks ago the pigs escaped, causing much consternation as to how to get them back into the pen. “Picking them up was out of the question,” he says of the massive, mud-caked creatures, though he admits that he briefly considered it. Eventually, he used food to lure them into the pen. The deer ate all of his vegetables the first year, but he solved that problem with electric fences. Yet other problems are tougher. Previously, the land was used for haying, which depleted the soil. Trapp’s painstaking animal and crop rotation methods are designed to put nutrients back in the soil. It’s not a quick process. Last year’s crops were mostly a trial run, he says, pushed back into the soil to provide fertilizer for this year’s bounty. But slow and steady appears to be paying off. Beyond the farm stand, Trapp runs a “food guild” which is a larger version of a community-supported agriculture (CSA) program. Members pay $1,200 a season for a share, show up once a week and pick their own vegetables along with healthy portions of chicken and pork. He’s kept eight members well-fed this year. the township is a best place to adobe.